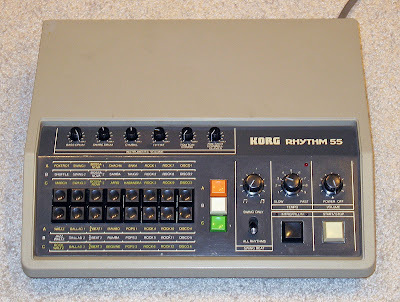 I was curious enough to get the Korg KR-55 drum machine. 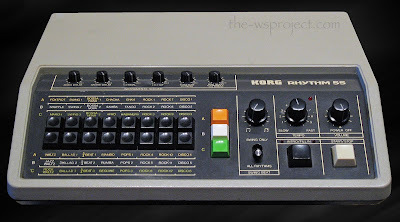 Korg dropped off the name Mini Pops when moving on to the 80's, but this thing is still very much the same type of a preset rhythm box. The amount of different rhythm styles is great, but you cannot combine the rhythms like you could in the earlier boxes. There was also a lesser model, the KR33, and a dark grey colored updated model, KR-55B, that came out in 1982 and had just a bit different patterns. 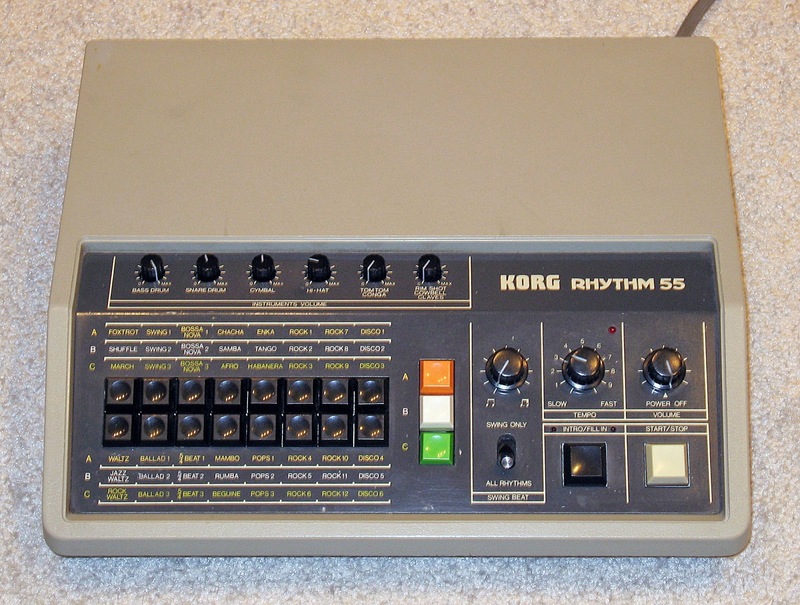 J-M Jarre used this KR-55 on his album Magnetic Fields. My unit had some modifications done. It had separate output for the sounds if you wanted to process them separately, and some additional sync outputs. 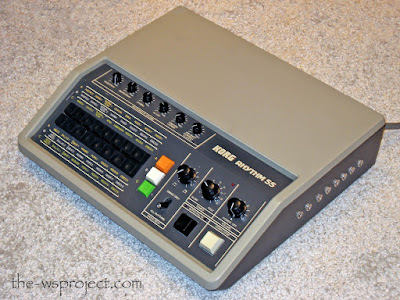 I had some fun sessions with the KR-55 triggering my Trident's brass section but I never used this drum machine in any final songs. I didn't like it's sound that much even though it's analog and all. 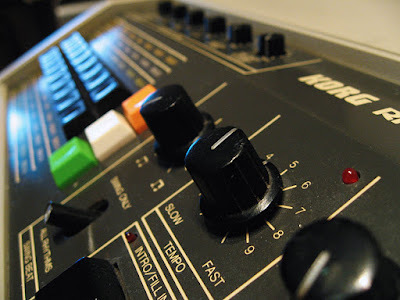 I think it sounds more metallic and not as fat as the earlier drum machines of the 70's. The modified individual outputs on the right side panel.